The young person assists two members of staff during the process throughout which he was able to express his views and opinions. After the interviews, he was taken to an exotic pet store, one of his many interests. Last Friday, 21th of March, a young person from one of Diagrama’s Care Homes in Luton sat with two current members of staff during the interview process for potential educators who applied for a position in one of Diagrama’s homes. He had the chance to ask them various questions on issues that were important and relevant to him, as well as to the other young people. Diagrama has a comprehensive recruitment process, which includes thorough background checks and a specifically designed interview process and criminal records bureau checks. In order to compliment this, and following Diagrama’s belief in giving young people a chance to speak up and to contribute to decisions that will affect their lives, a young person was involved during the most recent interview process. The staff members that were present created an environment where it was possible for him to participate in a way that allowed him, and everyone else, to share their thoughts and opinions. After the interviews, the members of staff took the young person to an exotic pet store, which is one of his many interests and passions. There, they had a chance to see a wide selection of reptiles. 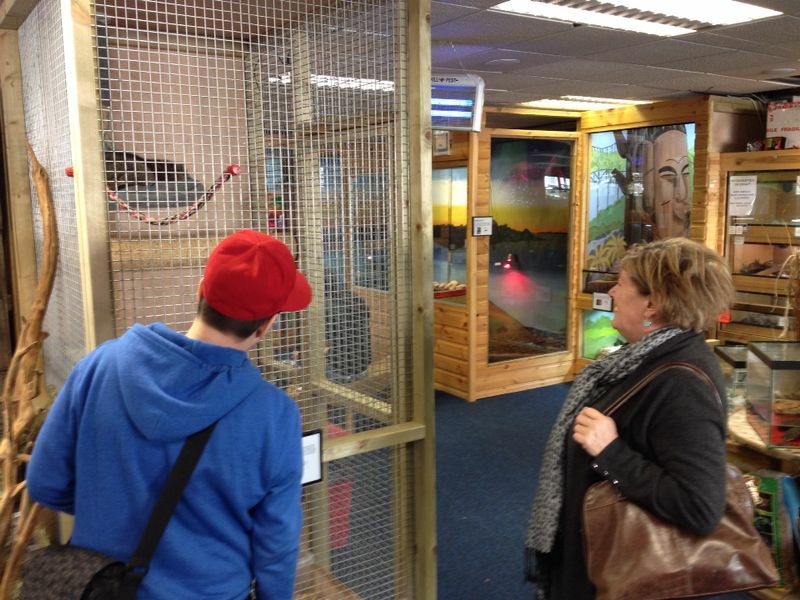 The young person is very knowledgeable about the different animals and was very keen on telling the members of staff all about them, including information about the animals’ habitat, diets and environments. All in all it was a great day with important learning opportunities not just for the young person but also for everyone involved. Taking part in the interview process turned out to be a fulfilling experience for the young person and contributed to his personal growth by assuming relevant responsibilities regarding decisions that directly affect him and his education.